Food Adventures of a Comfort Cook: Please open a real Italian deli here…I’m dying from withdrawal !!!! 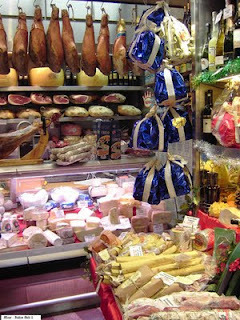 Please open a real Italian deli here…I’m dying from withdrawal !!!! So, I was watching “Real Housewives of New Jersey”, yes, I admit to watching the “Real Housewives” shows, all of them, so get over it now. It was the episode where they were celebrating Thanksgiving, Caroline and Albert are at a real Italian deli. Seeing all the meats and cheeses hanging from the ceiling; all the antipasti items behind the deli counter; the cans and boxes of Italian food items….the bread; that wonderfully crusty bread made from Semolina flour. I couldn’t take it anymore; I broke down and cried…I miss it all so much. Remembering the smells, tastes, textures; the absolute comfort; for good Italian food is a true comfort. One restaurant review I did of a place in Colorado stated that they served real New York style Italian food….they didn’t have a clue!!! They couldn’t make real New York pizza or calzone; their sandwiches were packed with hot sausage as if that is what makes a sandwich really Italian. That’s like pouring salsa over a hamburger and saying, “Look, I can cook Mexican”. Puh….lease!!! Yes, making counterfeit New York Italian food puts my knickers into a fierce twist; especially when it is done so badly. So, here’s just a short list of what you would find at a typical Italian deli: Mortadella, Prosciutto, Pancetta, fresh Mozzarella and Ricotta, Mascarpone, Parmigiano-Reggiano, Pecorino Romano, Boars Head brand cold cuts (the absolute best brand), dried sausage, fresh sausage, loaves of crusty bread made with Semolina, Antipasti (olives, mushrooms, peperoncini, artichoke hearts - all cured in olive oil; cured meats, cheeses), Torrone candy, Biscotti, cans of imported tomatoes, olive oils, boxes of pasta. Remember, this is just a short list for a deli; if you wanted to talk about cakes, cookies and pastries, then we have to enter the world of the Italian bakery….that’s a whole other post. Basically this is a twofold post; a minor rant, but most of all it is a plea; a hope that someone from New York, even New Jersey, will come out here to Monticello Utah and open up a real, pass the sausage please, Italian deli. ....and now for something Italian to feed the stomach and soul. 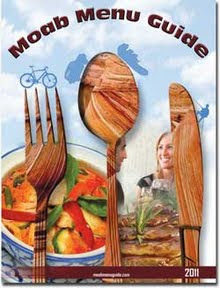 This recipe can be made with any type of shaped pasta such as ziti, rigatoni, shells, rotelle (spiral), farfalle (bow ties), etc. Preheat oven to 350 F; spray a 2 qt baking dish with nonstick spray. In a large bowl, mix together ricotta, 1 cup mozzarella, parmesan, eggs, garlic powder, herbs and 2 cups sauce till well incorporated. Add pasta, mix in gently so as to not break up the pasta. In the baking dish, spread out evenly 2 cups sauce, the pasta/cheese mixture and top with final 2 cups of sauce. Bake for 45 minutes, spread remaining cup of mozzarella over top, bake another 15 minutes to melt cheese. Let rest for 15 minutes before serving.